I'd like to stride 1 pixel at at time each time looking at a 3x3 pixel kernel around the current pixel and extract features from that. 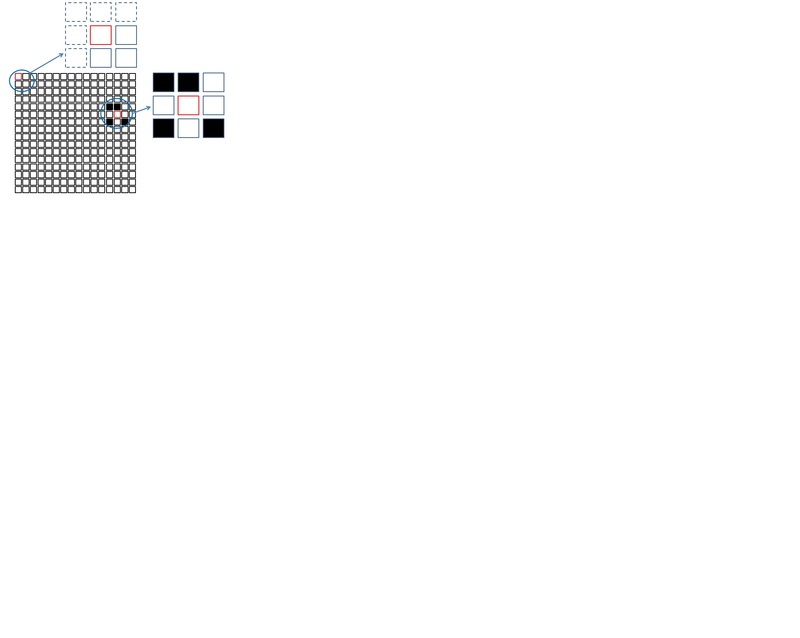 For example I might look at a given pixel and extract how many 1's or 0's are present in the 3x3 area around it. I might store this information then move along to the next pixel etc etc. Stride across from left to right, row by row checking the 3x3 region each time. Allowing for the pixels at the very edge as they won't have a 3x3 region, in CNNs I believe this is handle by zero padding, but I don't want to count 0's they should probably be NAs etc. This is obviously done in a loop of some kind - i'm unsure how to code this in R.